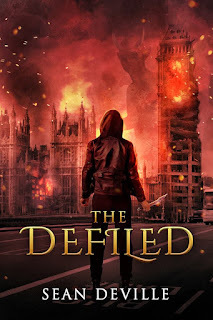 The new apocalyptic horror by Sean Deville is out in Kindle and Paperback. Penny Connor is putting the pieces of her life back in logical order. At least that’s the plan. Six months ago, her world imploded when she walked in on her fiancé with another woman. After calling off her wedding, she spent a week acting completely out of character in the Tuscan countryside with a scorchingly hot man. They didn’t even exchange last names. Ethan Hartnell has grudgingly returned home. He's got an image to fix after being traded to the San Francisco Strikers, due to some questionable behavior. He plans to keep his nose to the ice, focusing on the career he loves. Everything is going according to plan, until he walks into a friend’s bar and sees her. She’d left him in her bed in Italy, with a note, and run. Which is exactly what she does when they see each other again. It should be a sign. When family man and war veteran Russell loses his job as a quarry worker, his life suddenly seems more like a waking nightmare than a chance to finally live the American dream. Facing bills, a new baby, and a bone-dry bank account, he’s got nothing left to lose. 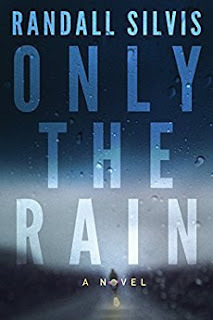 Russell comes to the rescue of a naked stranger dancing in the rain, and what was supposed to be a straightforward good deed turns into a spiral of danger. When Russell finds an enticing stash of money in the woman’s house, he knows the cash could be his only hope. Taking just a handful will save his family’s future. His “victimless crime” seems to be anything but risky—until the criminals he robbed come looking for their dirty money. Russell’s ready to surrender it, but then his daughter gets sick…and he must choose between saving her or giving the devils their due. Someone’s going to pay. The question is, how much?